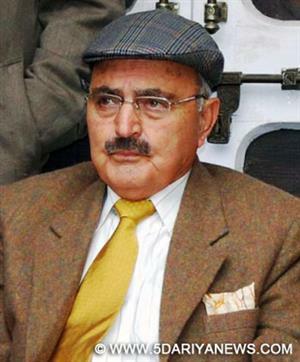 “Sajad’s absolute mesmerization with Narendra Modi is not only embarrassing for the people of Kashmir but has also made his workers embarrassed as they are finding it hard to justify how the angry poster-boy of Kashmiri nationalism has jumped into the lap of a person who ridicules and mocks the flag and constitution of Jammu and Kashmir. Today Sajad Lone has found his brother in the same person who is accused of overseeing a mass genocide of Muslims during one of modern India’s worst communal riots. Sajad Lone has sold his conscience for an ashirwaad from Nagpur and if reports are to be believed, Sajad is in the process of merging his party with the BJP soon after the elections conclude,” Kamal alleged.